With Democrats now in control of the House Permanent Select Committee on Intelligence, new details are emerging about the Republican investigation of the FBI’s handling of the investigation of presidential candidate Donald Trump. Two transcripts, leaked to the New York Times and the Epoch Times respectively, show how senior FBI officials viewed Donald Trump’s rise to power: with deep apprehension. What they don’t reveal is what Republican congressmen were seeking to prove: the existence of a “deep state” FBI cabal to bring down the president. The testimony of senior agent Lisa Page was of special interest to Trump’s allies on the investigative committee. 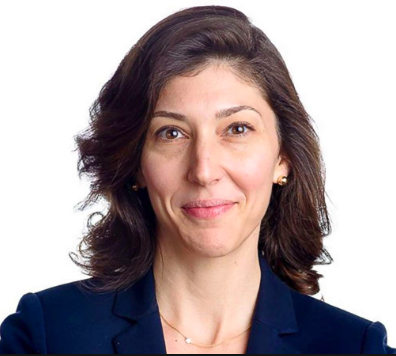 Page was having an affair with Peter Strzok, senior FBI counterintelligence officer, in July 2016 when she was brought into the investigation of the Trump’s entourage. Republican investigators had obtained–and leaked–text messages in which Strzok and Page both denounced Trump. When the texts came to the attention of Special Prosecutor Robert Mueller, he took Strzok off the investigation. Republican congressman failed to get Page to say anything that substantiated Trump’s claim that the FBI investigation was launched on the basis of the so-called Steele dossier, written by British intelligence officer Christopher Steele. As of August of 2016, I don’t know who Christopher Steele is. I don’t know that he’s an FBI source. I don’t know what he does. I have never heard of him in all of my life. So let me just sort of be clear. When the FBI first receives the reports that are known as the dossier from an FBI agent who is Christopher Steele’s handler in September of 2016 at that time, we do not know who—we don’t know why these reports have been generated. We don’t know for what purpose. Page said that the Bureau regarded the possible collusion of the Trump campaign with Russians as a much higher counterintelligence priority than the issue of Hillary Clinton’s email server, which was three years old at that point. Page added that the Bureau had no forensic evidence that a foreign government or actor had gained access to Clinton’s server. Perhaps the most revealing moment in Page’s testimony came when she agreed with an unnamed congressman that the FBI had not begun investigating Trump for possible obstruction of justice prior to the firing of Comey. “Obstruction of justice was not a topic of conversation during the timeframe you have described,” she told an unnamed Congressmen. Then, upon advice of an FBI lawyer, Page withdrew the claim saying the answer was relevant to Mueller’s ongoing investigation. Does that mean the FBI was investigating Trump before Comey was fired? Page dodged the question. Mostly, Page’s testimony provides a granular picture of the FBI investigation and tensions between the Justice Department and the Bureau. The testimony of James Baker, FBI general counsel, shown to the New York Times, shows Trump’s actions disturbed the Bureau’s leadership. As result, Baker said, the Bureau opened a counterintelligence (CI) investigation of Trump. Unlike a criminal investigation, a CI investigation does not necessarily seek to identity violations of the law, merely actions of a foreign government that is hostile to the United States. The revelation of the CI investigation of Trump coincides with revelations that Trump has concealed his conversations with Russian president Vladmir Putin from other senior U.S. officials. Based on what we know from these reports, Page and Baker’s interrogators sought evidence to buttress Trump’s attacks on the FBI. They came up with precious little, which is probably why the closed-door testimony was not made public or leaked while the Republican majority controlled the committee. Last September, the committee voted to release around fifty transcripts from the committee’s investigation. To date, only two transcripts have been made available. The new committee chairman Rep Adam Schiff has promised to expedite the release of the rest of the transcripts. .